Looking for stories from Israel? The weekly podcast will be an interview style show where we introduce our audience to newsmakers and intriguing Israelis. We’ll meet characters from across industries — academics, actors, athletes, artists and archaeologists -- and even alien hunters. 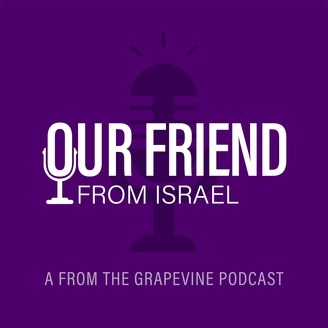 Subscribe to "Our Friend from Israel." If you ever watched Oprah, you know she's a dog lover. And one of the reasons Oprah loves her dogs so much? They're well behaved. And she has Tamar Geller to thank for it. Oprah calls Tamar a life coach for dogs and their people. The talk show icon convinced Tamar to write a book about her dog training techniques and it instantly shot up the New York Times bestseller list and was translated into multiple languages. Once she appeared on Oprah, Tamar was everywhere – even becoming the resident dog expert for the Today Show. Tamar has since become a dog trainer to the stars. Her list of celebrity clients reads like a who's who of Hollywood: There's Ellen DeGeneres, Ben Affleck, Charlize Theron, Natalie Portman, Jennifer Aniston, Ryan Seacrest, Kelly Ripa, Owen Wilson, and Reese Witherspoon. Drive by her Los Angeles home and you might see Kyle MacLachlan picking up his Jack Russell-poodle mix or Pat Sajak dropping off his Australian sheepdog. In addition to her hourly training, pet owners can also send their dogs to her Hollywood home for a doggie vacation. In her free time, she also gives back – with non-profit initiatives that help juvenile prisoners and those with PTSD overcome their challenges through dog training. In today's episode, you'll hear how studying wolves in Israel led Tamar to become a dog behavior expert, how the relationship with our dogs can help us become better humans, and how a desperate housewife introduced Tamar to Oprah. All that, plus find out how Tamar can train your dog over Skype. For behind the scenes access to our show, including sneak peeks of future episodes, please join the "Our Friend from Israel" Facebook group. 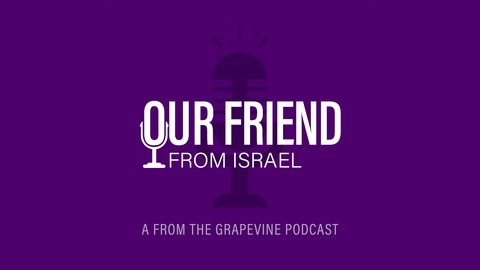 For additional notes, photos and a transcript of this episode, please visit www.ourfriendfromisrael.com.